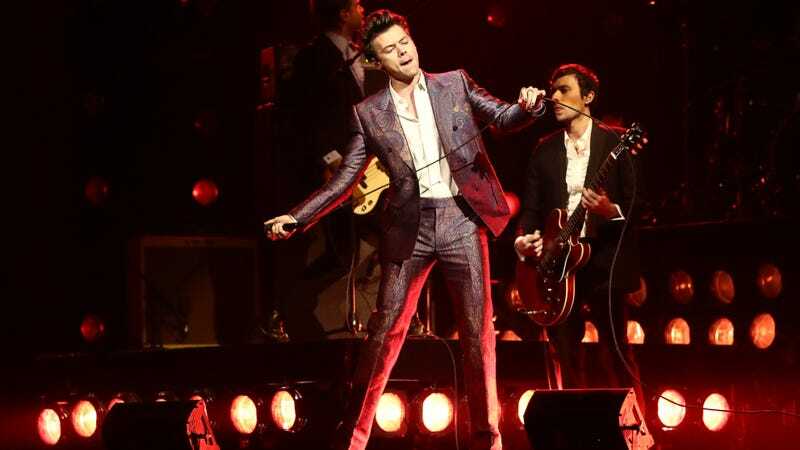 Gravity-defying heartthrob and expert suit-wearer Harry Styles debuted two “seemingly brand-new songs” at a live show in Switzerland over the weekend. One is (probably) called “Medicine,” and is about precisely what you’d expect. The other is an ode not to his Dunkirk co-star Fionn Whitehead, but instead to someone named Anna. Congrats! To the best of my knowledge, Harry Styles has never publicly dated someone named Anna, but after slightly considerable thought, I have concluded that the object of his affection is none other than Gizmodo Media Group’s very own Anna Merlan. She denied all my requests to elaborate.